Welcome to sunny Cancun. The only problem is Morgan Rose would rather be sitting at home than hanging out with her best friend’s parents in an exotic vacation resort full of couples on romantic getaways. She’s decided to perform her Maid-of Honor duties at Samantha’s wedding and catch the next flight back to her predictable life. Then she meets Justin, the groom’s best man. At first she finds him annoying—cute, but annoying. But soon she realizes that there is much more to this good-looking man than his fun-loving exterior suggests. When their brief time together ends, they promise to keep in touch and, more importantly, to meet again six months later to see if their attraction has any lasting possibilities. But time has a way of complicating even the most beautiful beginnings, and Morgan will soon be forced to make a difficult decision that could change the course of her life. 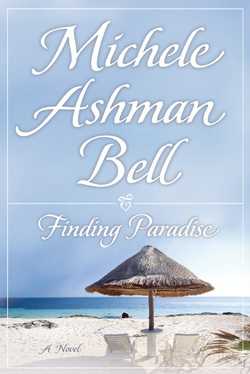 Best-selling author Michele Ashman Bell has done it again with Finding Paradise, a touching story about the importance of following your heart—a book that will keep readers engaged from the first page to the last satisfying line.